You may already know that Warren Buffett repeatedly stated in his Berkshire Hathaway letters that there will be no Warren Buffet recommendations on stock picks. 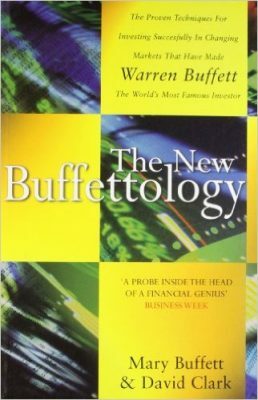 Since this is the case, the best is to learn from Warren Buffett is his investment philosophy from the available Warren Buffett books. Knowing what stocks you want to own and then wait for a good entry price to enter. Warren Buffett does not care to buy stocks way below the intrinsic value of the stocks. He decides to buy a stock based on the Expected Annual Compounding Rate of Return, then compares it with other available investments and buys the best one. Invest a company only if its business has a proven and consistent track record and the Expected Annual Compounding Rate of Return is greater than 15%. Once the Warren Buffett stocks are invested, hold on to these stocks for as long as possible to maximize compounding. Hold on to a great business with a predictable, consistent 20% return over a quick 35% gain even if these stocks are trading above their intrinsic values. This is because a great business is hard to find and selling of such good businesses may imply tax payments. Good businesses with market monopoly or having sustainable competitive advantages are the key to long-term, consistent, above-average returns on the stock market. Invest in dividend stocks only if the company has low returns on equity or having little growth prospects.